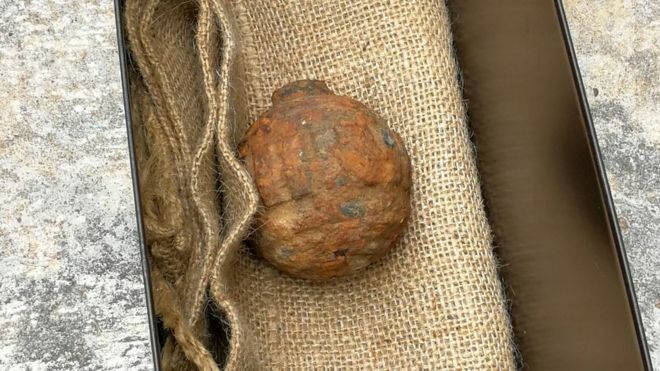 A World War One-era German hand grenade has been found among a delivery of potatoes shipped from France to a crisp factory in Hong Kong, police say. The muddy device, which was 3in (8cm) wide, was "in an unstable condition" because it had been discharged but had failed to detonate, officials said. It was discovered at the Calbee crisp-making factory in the eastern Sai Kung district on Saturday morning.